Alexandra offers 2 hours, half and whole day workshops of any of the below, individually tailored to your interest and need. Book one-to- one sessions or group tuition. You may wish to arrange your own ‘party’ workshop with a group of friends or family. In Japan, families and friends have been treating each other for thousands of years to support their health and well- being. Following this tradition, I am offering you 2 hour tuition slots for 2 people to learn effective techniques. If you care for a loved one, this work will inspire you to offer healing touch and presence, as well as techniques to support yourself in a more balanced way.The sessions are fun, designed around your wishes and needs. You and your partner may both learn through giving and receiving. Before each individually tailored tuition session we will discuss what you like to focus on and conditions you like to work with. Afterwards I will provide you with notes, summarizing what you learned, which can help to remind you when you practice at home. You may wish to book a series of sessions to build up your skill and confidence. Introduction to using the principles and techniques of Shiatsu. 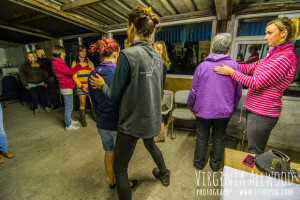 A very practical session on exploring self-awareness through meditation, movement and healing touch. You will be learning through giving and receiving Shiatsu. For immediate use on yourself, your family and friends. You can book private one-to-one Qi Gong sessions with me. An opportunity to focus on learning movement forms which support your individual condition, improve your posture. In my practice or in your home. Open your body, free space, become more flexible, self-aware, whilst supporting your physical strength and health. A great grounding in feeling your body and energy. Connect with yourself and the world around you in a fresh way. 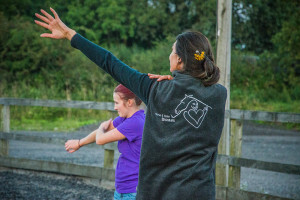 If you are a rider, this will add depth to your communication and connection with your horse.